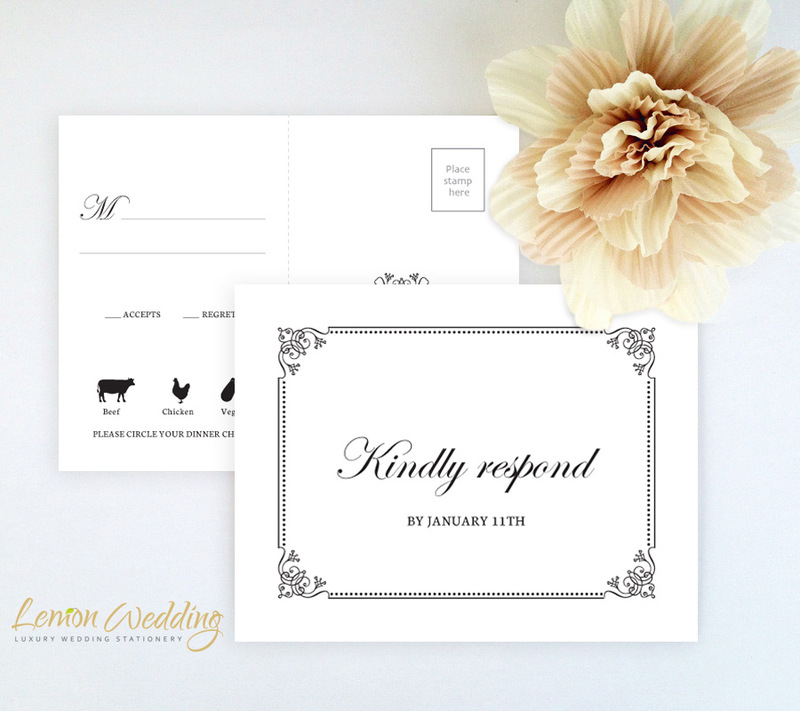 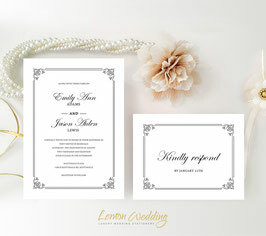 Make a chic, yet timeless wedding announcement with our elegant Invitations. 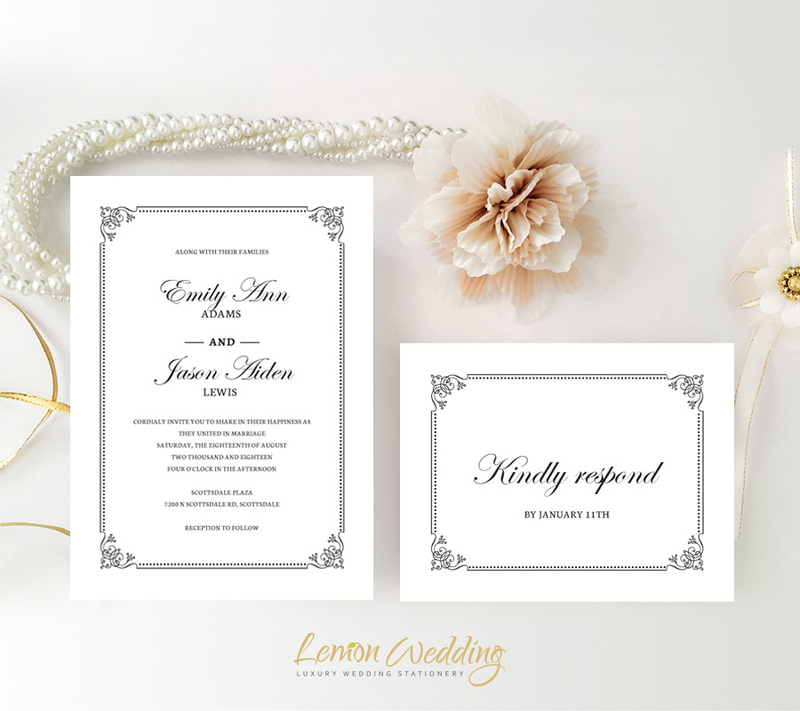 Our Traditional Wedding Invitations will provide your family and friends with your wedding details all while inviting them to your upcoming nuptials. 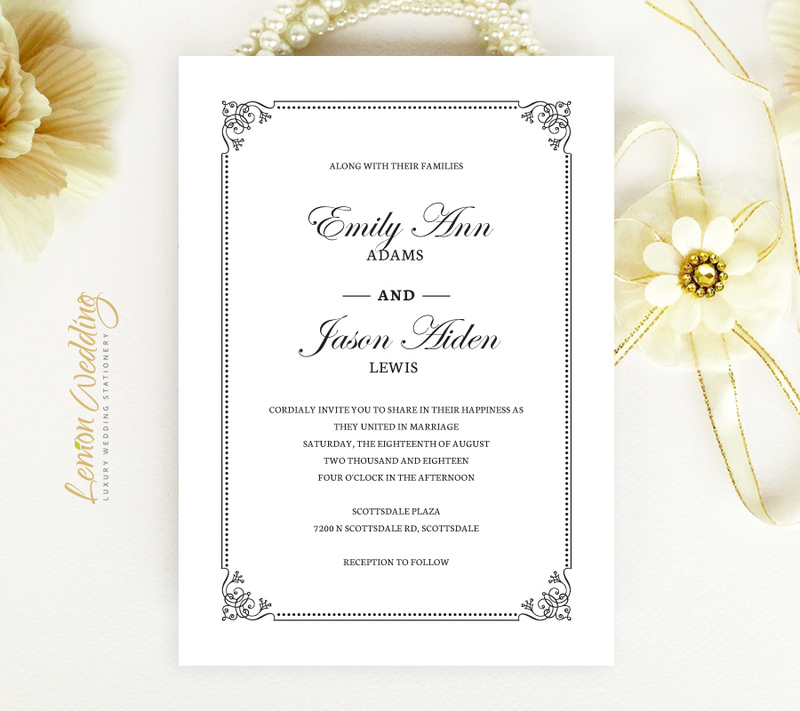 Displaying an ornate border design, our invites are printed on white paper and feature simple black font.